Description: Uchida Highlighters are water soluble, acid free, non-toxic, dye-based ink pens with versatile 3-way tips. 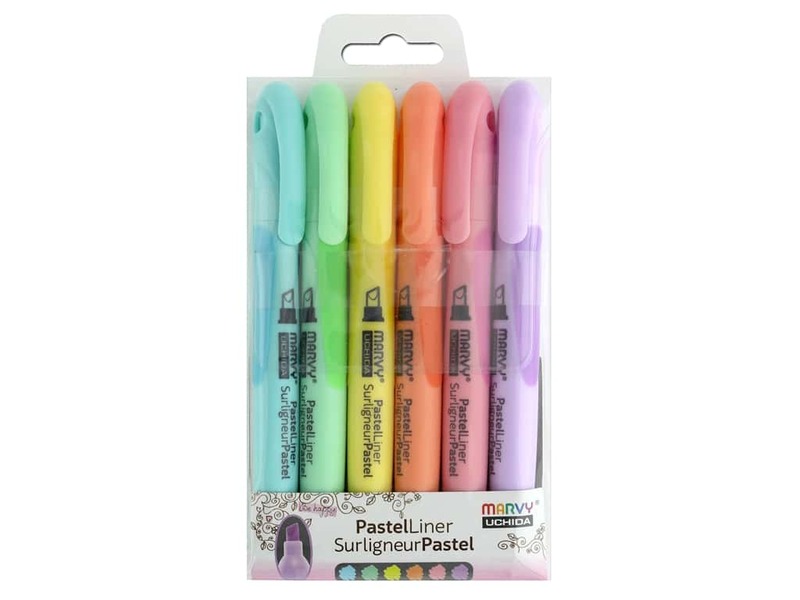 PastelLiner Set 6pc- Great for journaling, planners, card making, paper crafting, home, office, or school. Comes in 6 pastel colors: yellow, violet, blue, pink, green, and peach.